Reliable supplier. On time to pass and collect the device at KLIA airport. The battery when shared by 2 people able to last from 9am-11pm. There are some parts of UK where the signals are not strong. Otherwise its perfect. 当您到达一个国家时，如果您前往欧洲的多个国家旅行，一个简单的方法加上避免获得互联网simm卡的麻烦。如果您获得英国和欧洲的simm卡，成本几乎相同。设备电池可以持续一整天。 An easy way plus avoid hassle of getting internet simm card when you arrived in a country especialy if you are travelling to multiple countries in europe. Cost almost the same if you get a simm card for UK and Europe. The device battery can last you for one whole day. 可靠的供应商。准时在吉隆坡国际机场机场通过并收集设备。由2个人共用的电池能够持续从早上9点到晚上11点。英国的一些地方信号不强。否则它完美。 Reliable supplier. On time to pass and collect the device at KLIA airport. The battery when shared by 2 people able to last from 9am-11pm. There are some parts of UK where the signals are not strong. Otherwise its perfect. 尽管吉隆坡国际机场主要机场没有柜台，但工作人员非常乐于助人。工作人员不得不在KLIA2与KLIA见面，向我传递/收集设备。 WiFi连接很好，没有任何中断。 The staff was very helpful although there is no counter at KLIA main airport. The staff had to meet me up at KLIA from KLIA2 to pass/ collect the device to me. The WiFi connections were good, no disruption at all. 值得购买，我们可以访问整个英国的互联网，即伦敦，威尔士，爱尔兰和苏格兰。只有一次需要重置4G Wifi，但支持立即修复它。 Worth to buy, we can access internet throughout UK ie London, Wales, Ireland and Scotland. Only 1 time need to reset the 4G Wifi but support was immediately fix it. 良好的连接和信号虽然有时可能会变慢。用在伦敦和巴黎没有问题。虽然，有一点是麻烦的一件事是拾起和返回的设备，因为Klook没有在机场的展位。 Good connection and signal although at times it can get slow. Used it in London and Paris with no problems. Although, the one thing that is a bit of a hassle is the picking up and returning of the device because Klook doesn't have a booth at the airport. 互联网很慢，不知道为什么。重置几次仍然相同。在伦敦，我使用希思罗机场wifi比wiyo快得多。不确定sim车是否更好，因为互联网运行速度非常快，每天只有500mb。 The internet quite slow not sure why. Reset few times and still the same. At london i used heathrow wifi is much faster that wiyo..not sure if sim cars is better as the internet run quite fast for 500mb per day only. 可靠。 Wifi可以用在我们去过的欧盟的所有地方和国家。这是我第二次使用Wiyo Wifi。 Reliable. Wifi can be used at all places and country in EU that we went. 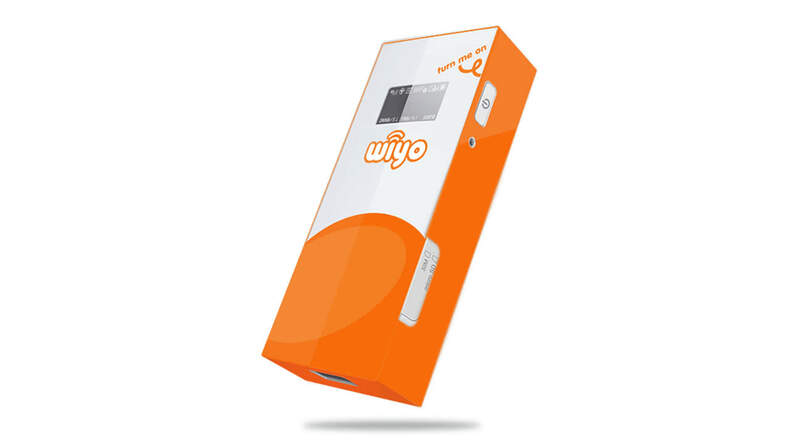 This my 2nd time using Wiyo Wifi. 吉隆坡国际机场的收集和下车并不专业。我到达指定区域的4号出发馆进行收集。其中一名工作人员打电话给我，并告诉我在那里等。当工作人员到达时，没有任何迹象表明他是来自KLOOK，除了他正在寻找某人并拿着一些设备。我付了200令吉的押金，没有给出收据。之后工作人员离开了。在吉隆坡国际机场下车期间，我不得不打电话给KLOOK号码，工作人员回复说我将把它放在KLIA2。我从来没有提到我会去KLIA2下车。然后工作人员告诉我等待约30分钟，以便他可以来收集。我觉得接送的安排不是专业的。对于前者有人可以通过我的设备声称他们来自KLOOK并从我那里拿走RM200。该设备可能是假的，我也不会意识到这一点。预订期间还有一个问题。 KLOOK允许您选择接送时间（这很棒），但是很明显，如果您想在吉隆坡国际机场领取/下车，您需要在上午6:00至晚上11:00之间进行。如果这是KLOOK设定的时间，那么KLOOK不应该允许客户设定他们的时间。 KLIA2全天候开放，但如果客户航班来自吉隆坡国际机场，KLOOK不应指望客户前往KLIA2只是为了接送设备。从积极的方面来看，我的欧洲之旅中的wifi设备运行良好。如果设备充满电，它几乎可以持续一整天。连接也非常好。然而，米兰的酒店有一些充电问题。在法国没有遇到任何问题，所以我怀疑这是由于酒店。 The collection and drop off at KLIA was not done professionally. I arrived at the designated area Departure Hall 4 for the collection. One of the staff called me and just told me to wait there. When the staff arrived there were no indication on him that he was from KLOOK except that he was looking for someone and holding some device. I paid for the deposit of RM200 and no receipt was given. The staff left after that. During the drop off at KLIA, I had to call the KLOOK number and the staff responded saying I will drop it off at KLIA2. I never once mentioned I will be going to KLIA2 for the drop off. The staff then told me to wait for about 30 mins so he can come and collect. I felt that the arrangement for the pick up and drop off was not done professionally. For ex. someone can just pass me a device claiming they are from KLOOK and take the RM200 from me. The device could be a fake and I would not realize it as well. There was also an issue during the booking. KLOOK allows you to choose your pick up and drop off time (which was great), however it wasnt made clear that if you wanted to collect/drop off at KLIA, you need to do it within 6:00am to 11:00pm. If that is the time set by KLOOK, then KLOOK should not allow the customer to set their time. 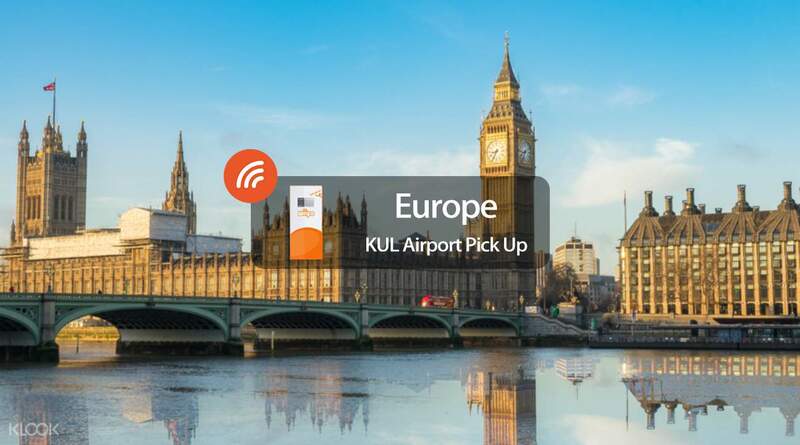 KLIA2 is open 24/7 but KLOOK should not expect customers to travel to KLIA2 just to pick up/drop off the device if the customer flight is from KLIA. On a positive note, the wifi device worked well during my Europe trip. If the device is fully charged, it can last almost the whole day. The connection was very good as well. However, there were some charging problem at hotel in Milan. No issues were encountered in France, so I suspect that it is due to the hotel.